Ok, ok, I'll admit that if you look into my tea cup you would normally find a cup of the finest mass produced builder's tea. Other than that I may have a few Earl Grey and some dusty herbal tea bags in the cupboard. Yet look on my shelf and you'll see my collection of teapots. I love them! I even had 200 British made teapots flown out to Italy for my wedding favours for the Italians, that like me, will display them on the shelf whilst we down our espressos. 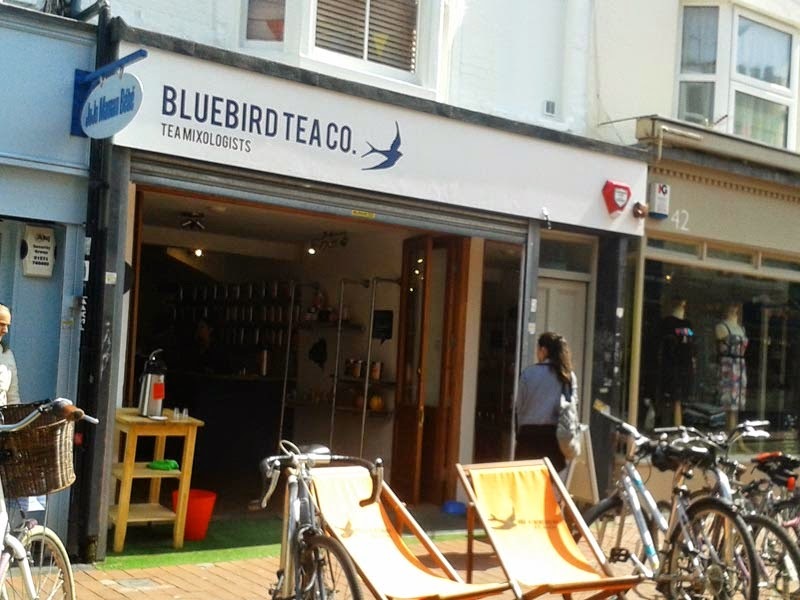 But genuinely, the arrival of Bluebird Tea Co. in the North Laine has transformed hot beverages at GF towers. 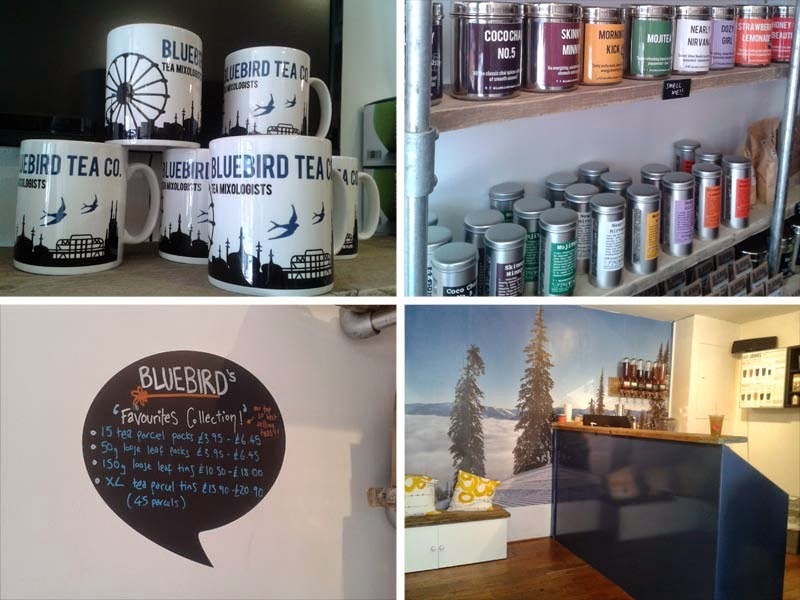 We've dusted off the teapots and filled them with the most wonderful Bluebird Tea blends. I suppose my lack of enthusiasm for tea is due to my ignorance on the subject. I've avoided mass produced fruit teabags because they taste like disappointment and dust. Yerk. But the Victoria Sponge mix here, with a base of Ceylon black tea with coconut, strawberry granules, whole freeze dried raspberries and raspberry leaves was anything but dusty. It was really vibrant and had a truly fruity taste with a comforting vanilla cakeish (it's a WORD) background. 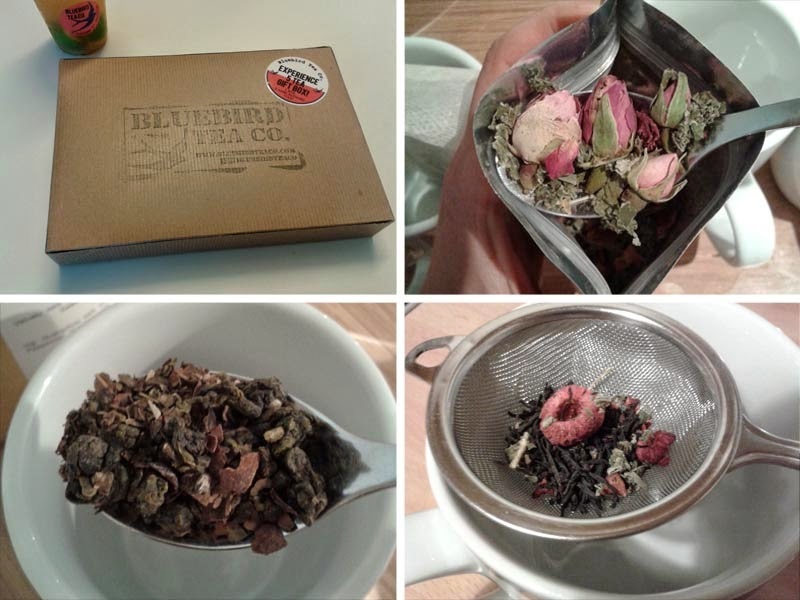 I was trialling an "experience pack" which I think is a great idea if you are new to real tea or the BTC brand. 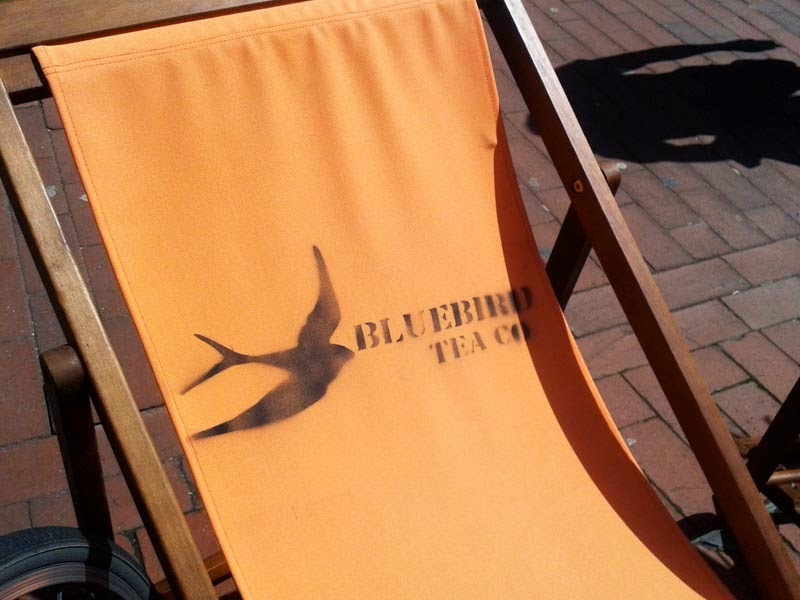 They contain five blends in specific collections (chai, caffeine free...) or a pick n' mix of your own choosing. There is enough loose leaf tea in each for quite a few cups and there are some I would never have chosen yet will absolutely repurchase. Handily on each pack is the brewing guide, temperature and if it is served with or without milk for each tea to enjoy it at its best. Favourite of my pack (which you can purchase in store and online) was the Gingerbread Chai. I loved it for after dinner. Handily caffeine free with a Rooibos base and an intense but not over the top spice from cardamom, cinnamon and ginger, softened with Mallow flowers. I also tried out the Peppermint Cream (fun for after dinner), Nearly Nirvana (jasmine silver needle with spearmint) and the prettiest tea on the planet, Enchanted Narnia, with whole rosebuds, cocoa shells and raspberry leaves. And look at the blends! They are utterly beautiful, as you can see all of the ingredients. yes some of the teas are quite quirky and I guess that gives this brand their playful charm but the taste is very serious and well considered, something you will want to drink again and again rather than experience for gimmicks sake. And they don't just sell tea and tea accessories. 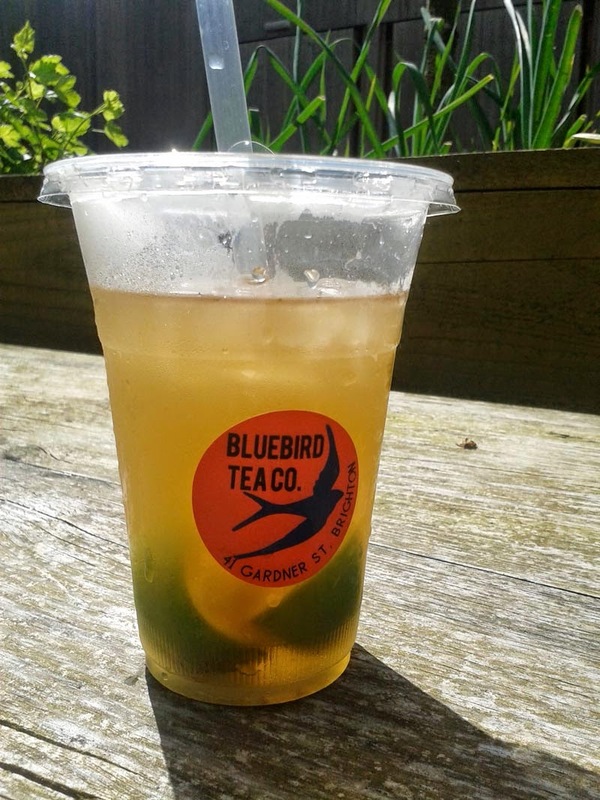 There is a little bar in the corner for delicious iced and hot teas for take out or to perch on their bench seating. Plus they hold tea events in the evenings. I particularly like the sound of the tea mixology classes with tea cocktails. There is also a tea club you can join to really try out the different blends which are delivered to your home every month via a subscription. I can't recommend this shop enough. Get down there, have a sniff and a cuppa. 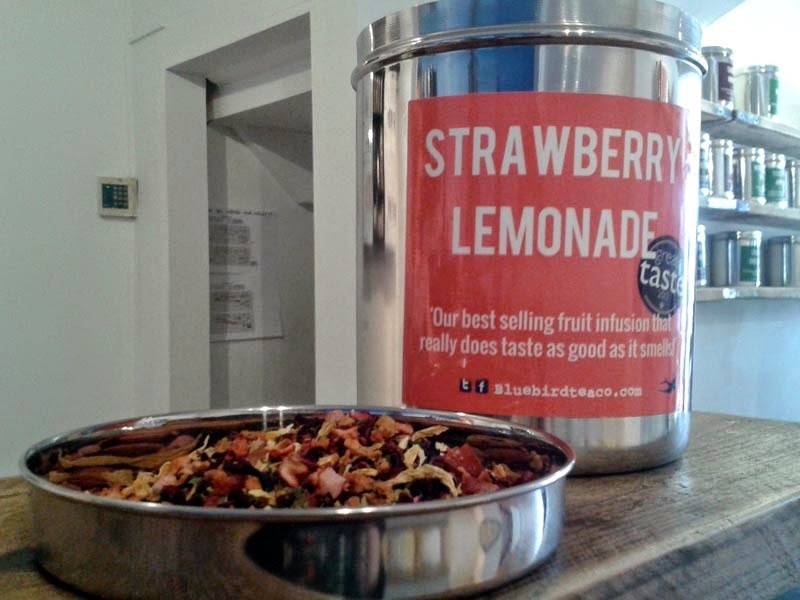 There will be something for all tastes whether you like spicy, fruity or fresh in all manner of base teas. Dark chocolate chilli chai, Apple Strudel, Fire chai, Monkey Chops or Bonfire toffee. Whatevs, it's there. Go. I was sent an experience pack for review.